I like the look of the retractable Brow Shaping Brush (plus I’d totally use it for my lashes too), I can’t even tell you the number of times I’ve caught sight of myself in a shop window only to see this staring back at me. Have you seen any of these on your local counter yet? What say you? oooh the yellow ones are lovely… Too pricey for me though! 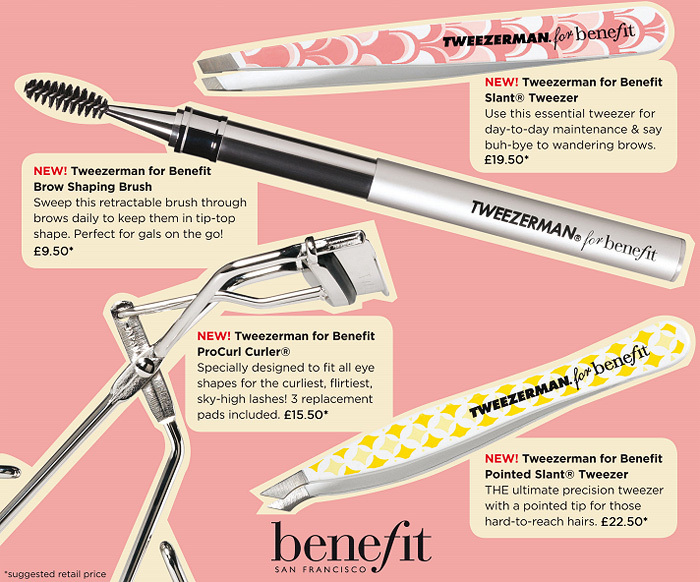 I’ve always fancied a pair of Tweezerman tweezers, bu the price is just too off-putting. They look so pretty but the price just puts me off!